Posted by matt on July 1, 2010 at 11:37 pm. Moving out of NYC soon. 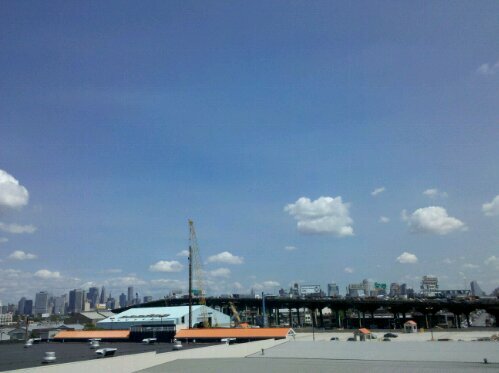 This is the view from the roof of my saxophone repair business (Stohrer Woodwinds) in Brooklyn, NY. My building, a warehouse built in the 1920s, is located on 19th St. and 3rd avenue in the Gowanus neighborhood of Brooklyn. 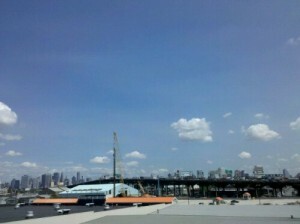 This photo is taken in the direction of lower Manhattan looking over the Gowanus canal and Red Hook, Brooklyn. Quite often I would go to the roof for lunch, or to have a drink, or just to take a few deep breaths.